In Canada today, money is borrowed into existence as debt to be repaid with interest to a global cartel of private banking institutions. 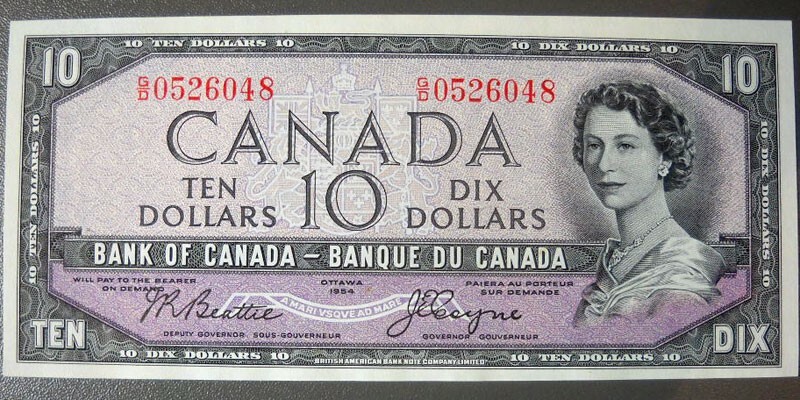 Before 1974, the Bank of Canada generated a significant portion of Canada’s governmental spending money into existence as interest-free debt to be repaid with a new loan generated the following year. This is how Canada could afford Medicare, the Saint Lawrence Seaway, the TransCanada Highway and the Canadian Railway (which used to be owned by the government of Canada). At a private bank, when you take out a loan, that money is not taken out of someone else’s bank account. Most of the time, that money is created using double-entry bookkeeping and only exists on paper. The bank records the loan as a liability and the debt as an asset. When you bring $100 into the bank to save, the bank only needs to keep about $2 of your money and can loan out that $100 up to 20 times. That means that if everyone went to the bank at the same time and demanded their money, we would only get 2 pennies for every $1.00 we had deposited. It is true that we have insurance policies that cover up to $100,000 of our deposits, however, after further inspecting the insurance policy, it appears that the CDIC holds only 2.4 Billion in insurance capital in case of bankruptcies, can borrow another 19 Billion from parliament and can request to borrow more. The question then remains, who would have to pay for the remaining 622 Billion of eligible deposits? Canadians would be forced to bail themselves out if the private banks ever went bankrupt. Once you deposit money into the bank, it is no longer your money, it belongs to the bank. Today, we accept this practice under the guise of banks being ‘too big to fail’. So what happened in 1974 that changed our monetary policy so drastically and began skyrocketing our national debt from 21 Billion then to 614 Billion now? In 1974, after the Bank of Canada joined the Basel Committee, the BoC stopped making interest-free loans to the government of Canada. 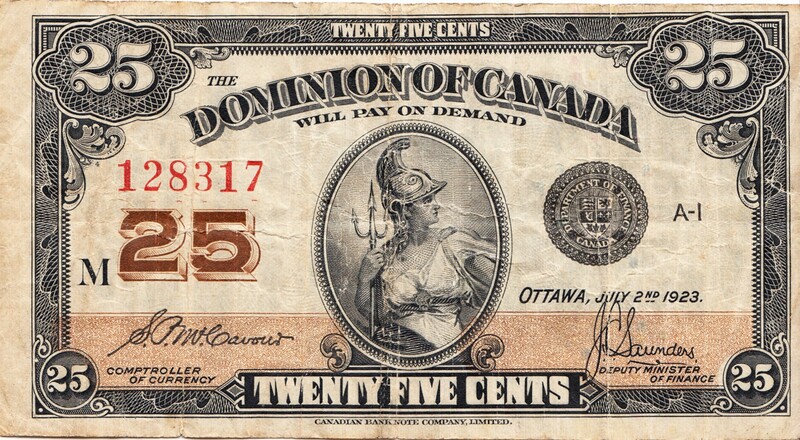 The Bank of Canada Act (18,j) stipulates that “The Bank [of Canada] may (and that’s the operative word) make loans to the Government of Canada or the government of any province, but such loans outstanding at any one time shall not, in the case of the Government of Canada, exceed one-third of the estimated revenue of the Government of Canada for its fiscal year, and shall not, in the case of a provincial government, exceed one-fourth of that government’s estimated revenue for its fiscal year, and such loans shall be repaid before the end of the first quarter after the end of the fiscal year of the government that has contracted the loan”. COMER, the Committee on Monetary and Economic Reform, with the help of renowned lawyer Rocco Galati have made a constitutional challenge against the Government of Canada. Galati recently challenged the Harper government’s appointment of the unqualified Marc Nadon to the Supreme Court (Galati won the case in March 2014). COMER alleges that the Bank of Canada and elements of Government of Canada are conspiring with the International Monetary Fund (IMF), the Bank for International Settlements (BIS), and the Financial Stability Board (FSB) in an action that undermines Canada’s sovereignty. COMER and Galati are demanding that the government require the BoC to lend money interest-free to the Canadian Government in accordance with Canadian law. Paul Hellyer, a member of the Queen’s Privy Council for Canada had the council research this issue and found that this single policy change under Pierre Trudeau has cost Canadians 1.1 trillion dollars in interest on the federal debt (which does not include provincial debts). To put that in perspective, Canada’s federal debt is currently at 614 billion dollars, and the provinces’ collective debt constitutes another 600 billion. The interest paid on our debt is nearly as large as today’s combined provincial and national debt, which would never have grown so substantially if not for policies created against the best interests of Canada to the benefits of private international debtors. Inflationary controls are touted as the strongest reasoning against the BoC lending money to Canada. It begs the question however, is paying over one trillion dollars to private banking interests worth as much as we would have theoretically saved in inflation? Are we not allowed to question the $125 billion in bailouts paid with Canadian money to purchase toxic debts? Or question the stability of the inflation rate in the US where they have a debt of $17 trillion and growing with their practices of quantitative easing? Or ask how the Brazilian Real’s introduction in 1994 brought stability to an otherwise unstable currency? Inflation is a complex economic issue that is not entirely understood. It can be caused by a number of factors including but not limited to monetary inflation, market confidence and psychology. To give up Canadians’ hard-earned wealth in exchange for the false security of a more stabilized inflation rate is not just fear-mongering but (allegedly) criminal. Please support my goal in achieving a basic income and helping my community by contributing a monthly pledge. Jamie Klinger — Founder of JoatU, member of Coop Sur Genereux. Community Organizer, Entrepreneur, Writer, Photographer, Marketer, Poker Coach and Rebel with a Cause.